How to Tech Inspect a Motor – Tekin – Smaller, Smarter, Faster! 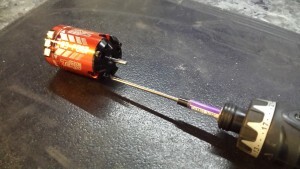 So as an ongoing topic of discussion it’s been noted that not everyone knows how to do a pre-tech inspection on their own motors. 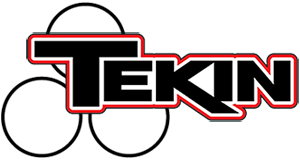 Well everyone here at Tekin is here to help, as always. 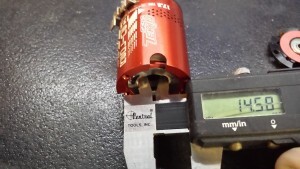 Here’s how to do a tech inspection on the mechanical aspects of a 17.5 motor. 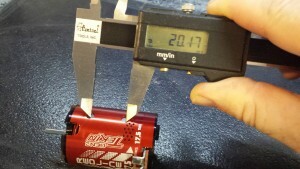 For now we’re going to keep it about the physical mechanicals of the motor which anyone can do with a pair of digital calipers. 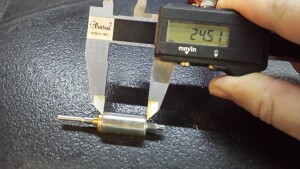 Step 1: A few quick measurements are the overall diameter of the motor which must be 36.02mm or under at the largest point of the motor, and the length which must be under 53.00mm measured from the mounting face to the furthest point of the rear endbell not including solder tabs, lead wire, or mfg’s logo or name. 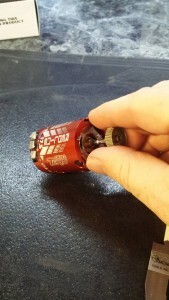 tear down the motor. 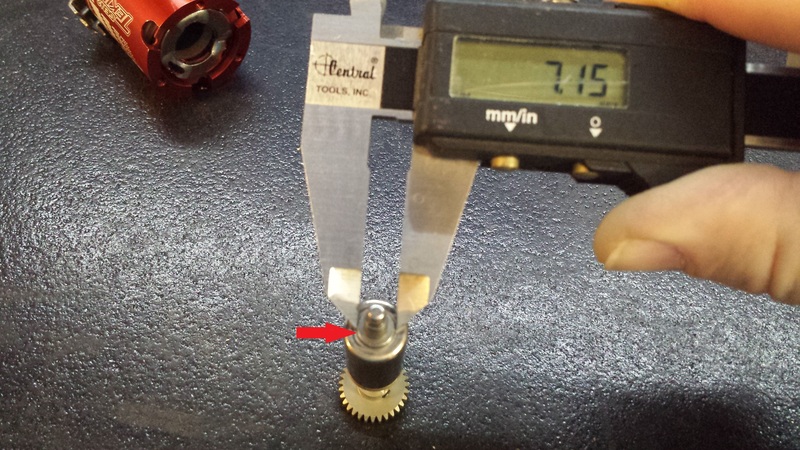 For a Tekin Redline Gen2 we simply remove the 3 3/32nd screws from the front endbell ,remove the endbell and phenolic washer set these aside. Next careful remove the rotor from the body of the motor. This can be difficult and take some practice and patience. Use a pair of plyers or put a pinion gear back on the rotor shaft to assist in removal which is what I do. Whatever you do don’t let go of it while it’s half way out and allow it to “slap” back into the sensor board. On a Tekin Redline Gen2, you can remove the rear endbell and sensor board to prevent this from happening, as well as disassemble the motor from this direction as well, again preventing any damage. 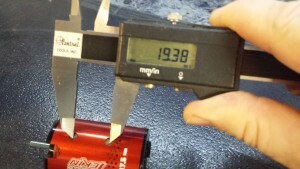 Next up is measuring the stack. 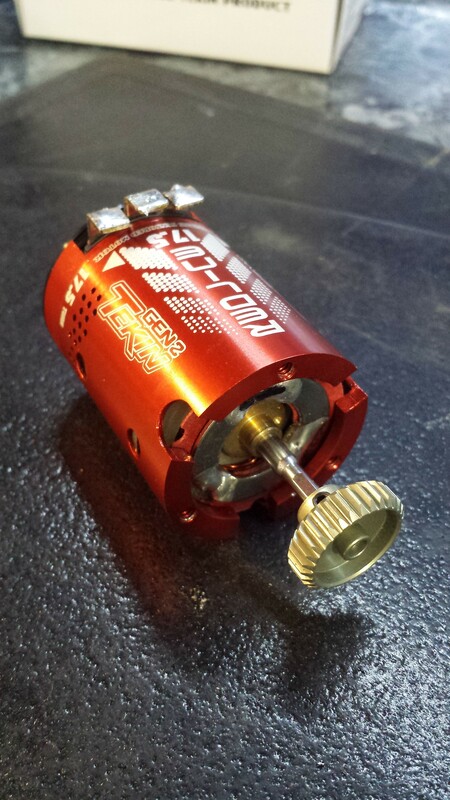 “The overall stator length parallel to the motor shaft shall be minimum length 19.3mm, maximum 21.0mm.” **Note that this rule was recently re-added to the ROAR rule book(recently announced) and has been in the IFMAR rule book for some time. 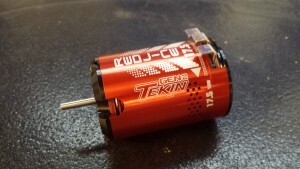 Now the Tekin Redline Gen2 comes in both a “Standard” or torque version, as well as a “RPM” version with a shorter stack. Both are measured in the “windows” on the side of the can. As you can see it’s easy to measure on the Redline Gen2 without disassembly. That’s pretty much it. 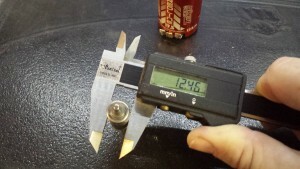 After this you really need to get a MMS or resistance meter to begin verifying wire diameter, missing winds, etc. Note that an inductance meter is currently used by the sanctioning bodies and will verify “wind” count but cannot catch illegal wire such as those motors made to be “outlaw” style motors which are often spec’d with oversized illegal wire.